I had such a wonderful set of visits last week. 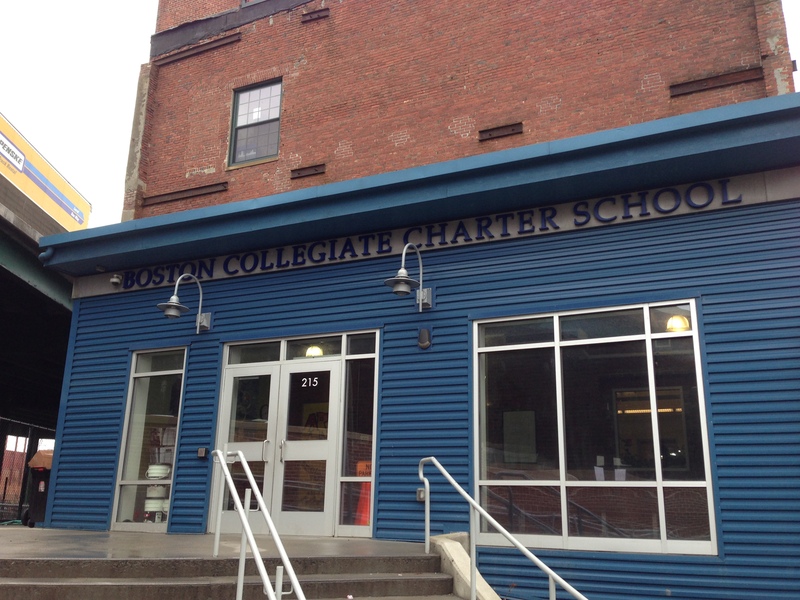 First stop on my tour was a day with 5th graders at the wonderful Boston Collegiate Charter School. What an inspiring school community they have: ever-present, encouraging, extremely hard-working teachers; and a curious, enthusiastic and wonderfully diverse student body. The reading teachers there clearly do a phenomenal job, because the kids asked such insightful, thoughtful questions. This mural in the front entry-way summed up the place. 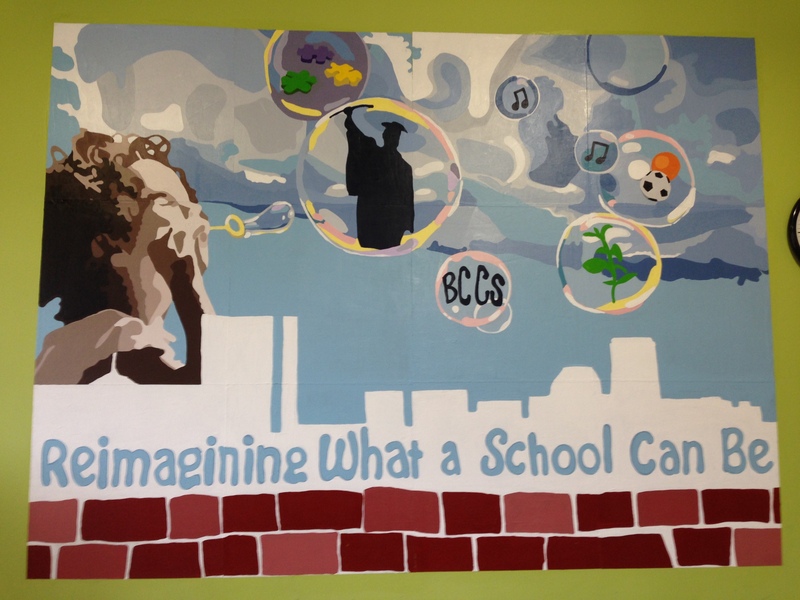 Would that every child could attend a school like Boston Collegiate Charter School! 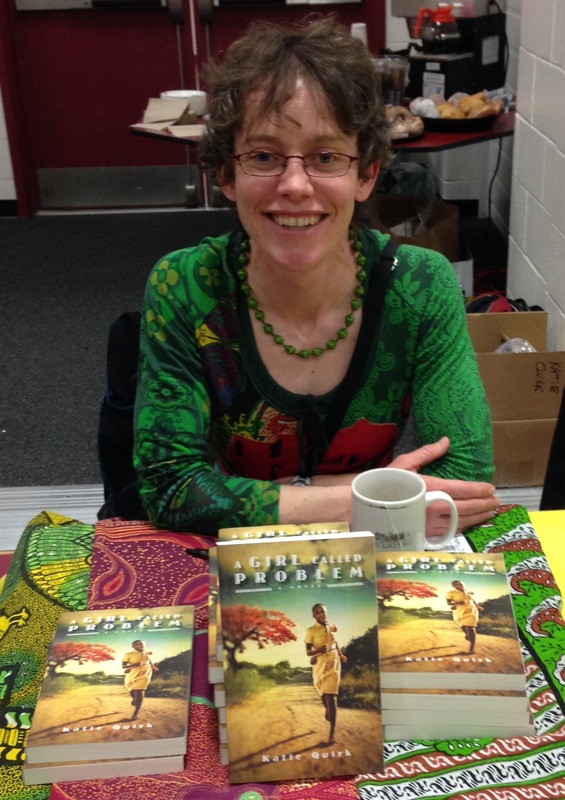 Next stop on my tour was Cape Elizabeth Middle School, where few of the 7th graders I met with had read A Girl Called Problem, but all of them had been studying African history, both pre- and post-colonial. 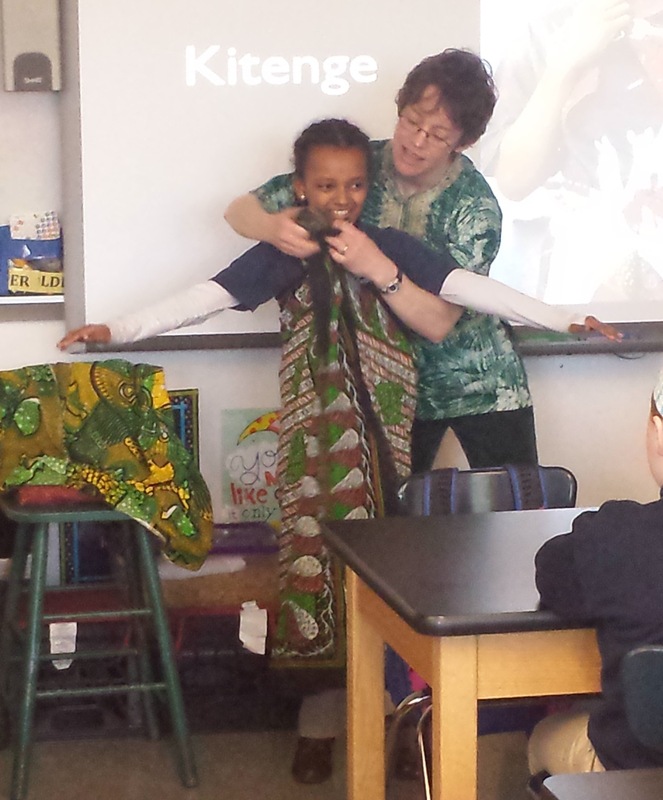 What a treat it was to visit with students who had a sense of the diversity within the continent of Africa and a nuanced understanding of the challenges faced by African nations just after independence. A Girl Called Problem proved to be a perfect tie-in to their curriculum. And on the final day of my visits, I enjoyed the privilege of meeting with young readers and a gymnasium full of wonderfully accomplished authors, including Ashley Bryan, Maria Testa, Mary Cerullo, Terry Farish, CB Anderson, Sarah Thomson, and Ellen Booraem at the Cape Author Fest. 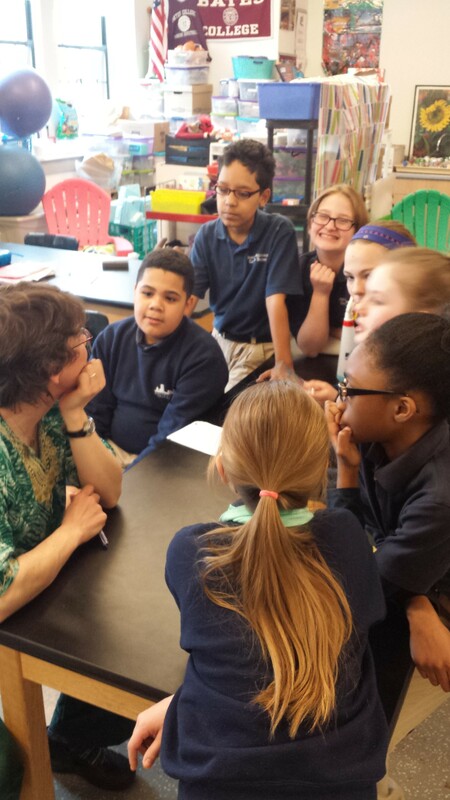 This entry was posted in A Girl Called Problem and tagged Ashley Bryan, Boston Collegiate Charter School, Cape Author Fest, Cape Elizabeth Middle School, CB Anderson, Ellen Booraem, Maria Testa, Mary Cerullo, Sarah Thomson, Terry Farish. Bookmark the permalink. 1 Response to Author visits! Nice post! I wish I had met you at Cape AuthorFest. So many people and such a great turnout!